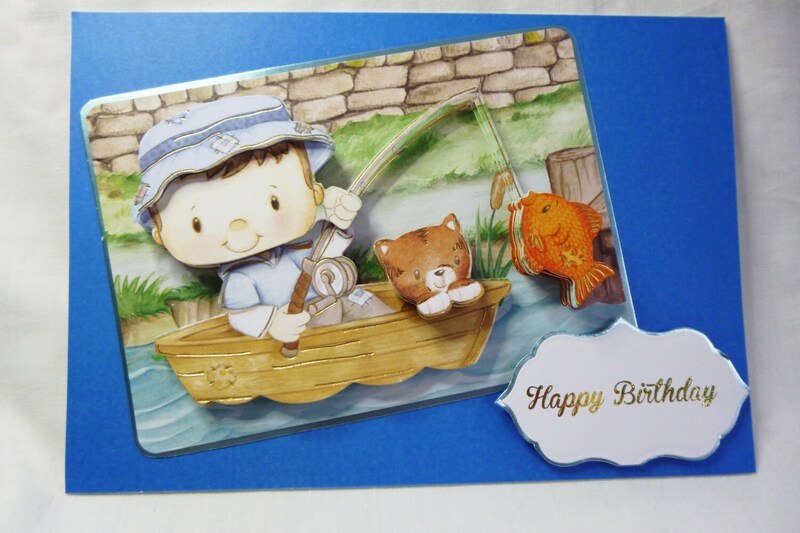 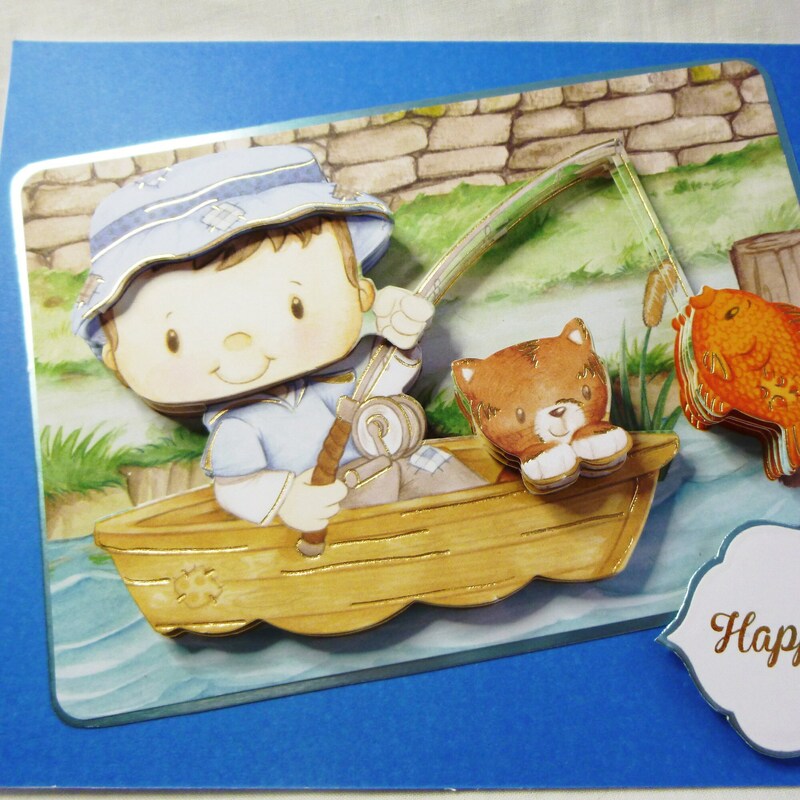 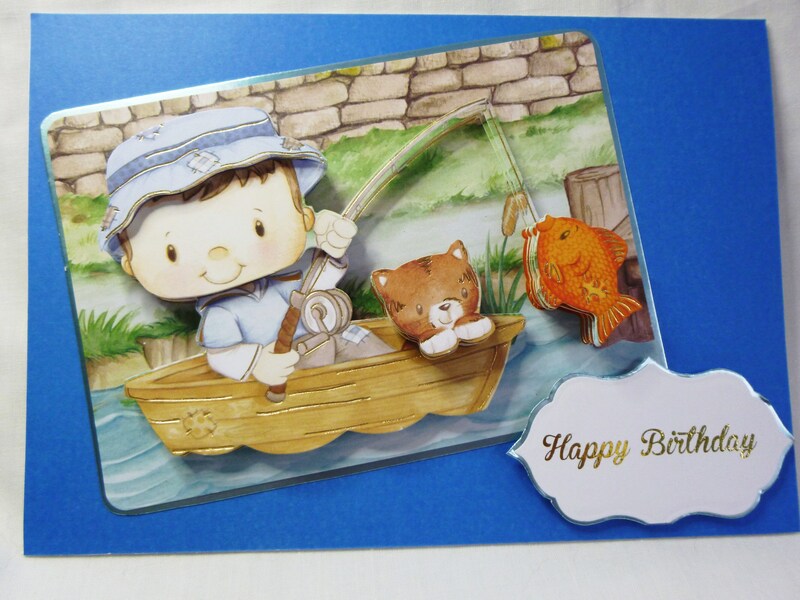 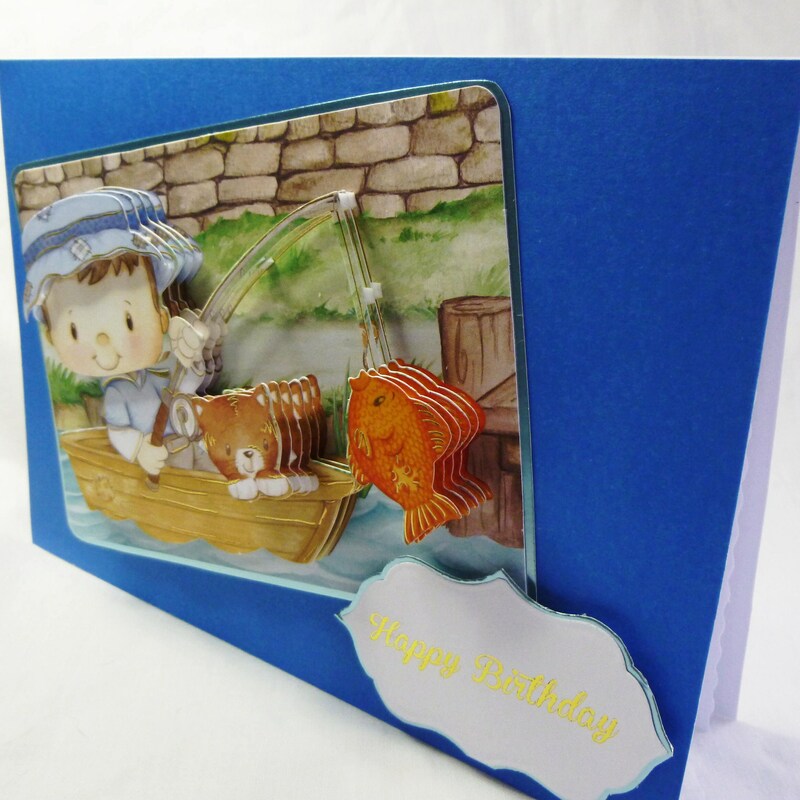 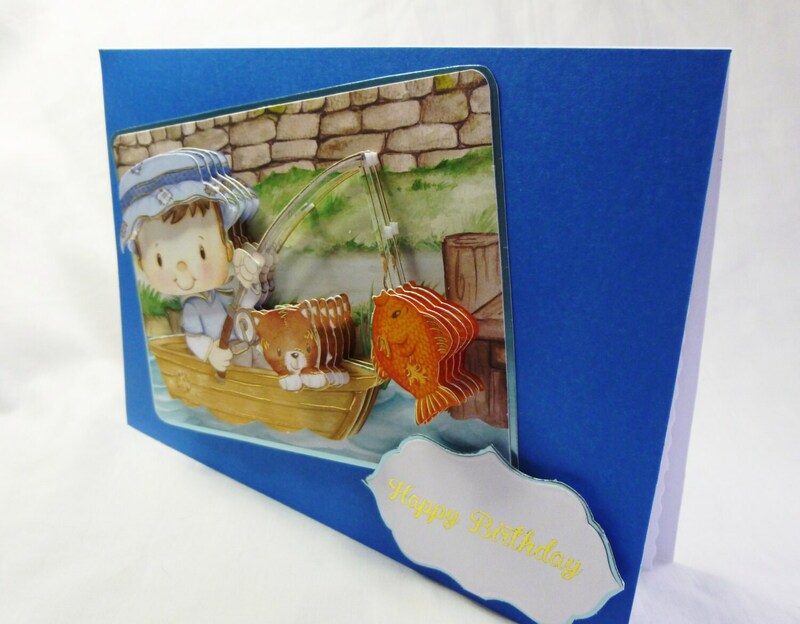 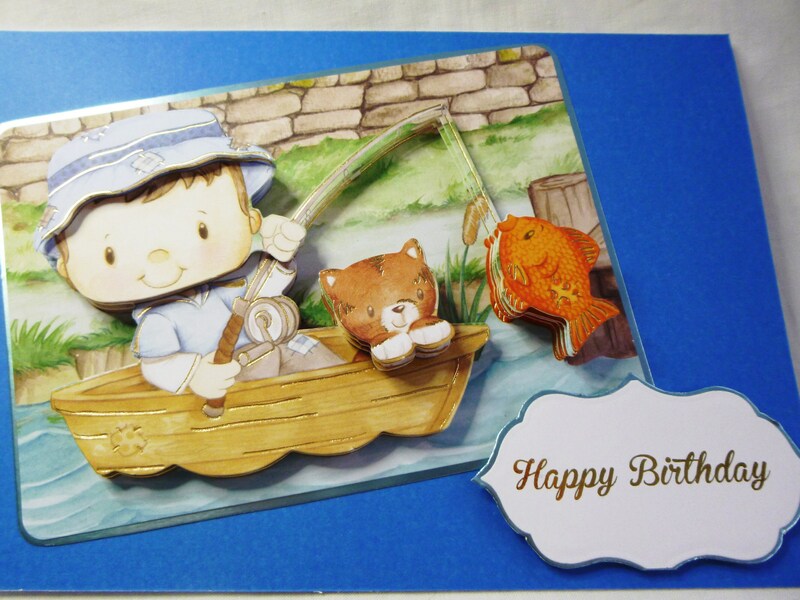 A 3 D Decoupage children's card, a tent shape card, made from white base card layered with blue card, a large topper of 3 D decoupage of a boy in a boat with his cat fishing, below is a laser printed sentiment which says, 'Happy Birthday'. 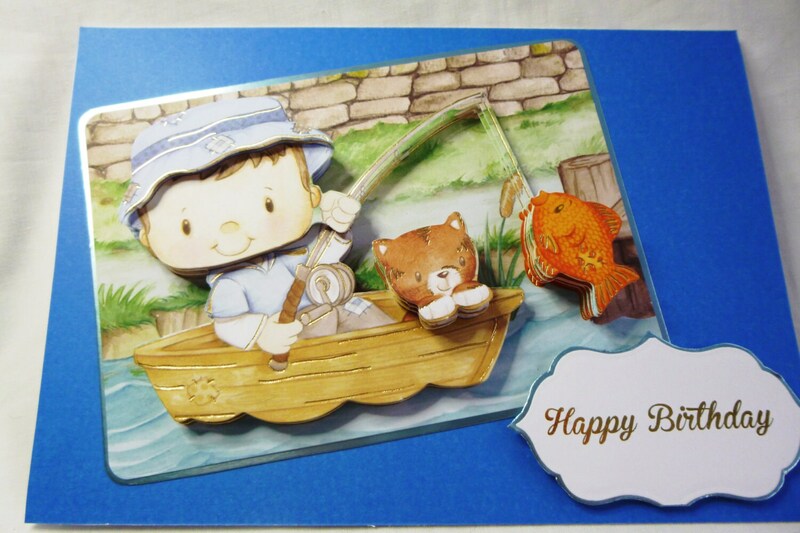 Inside the card is plain insert paper left blank for you to write your own personal message. 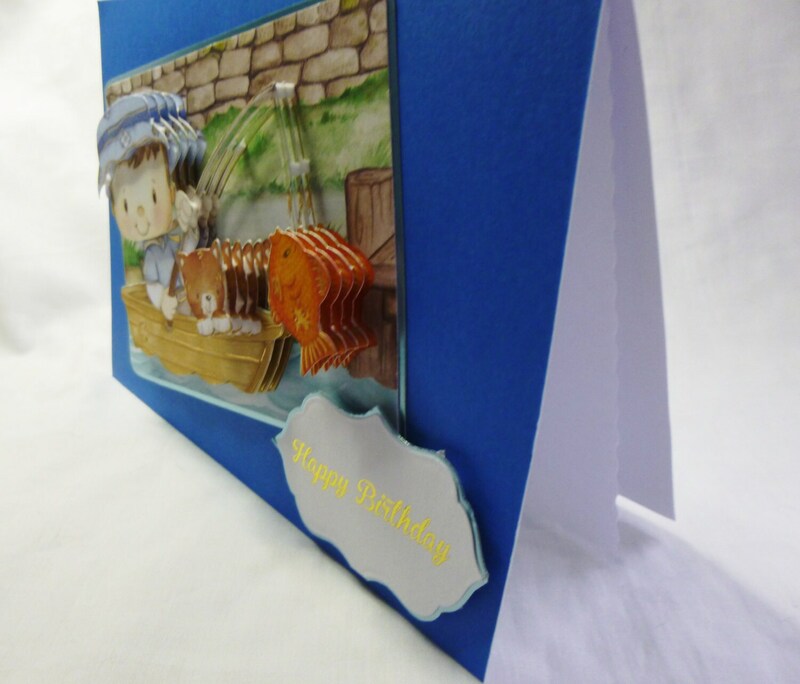 The card measures 6 inch x 8 inch, 15 cm x 20 cm, includes white envelope. 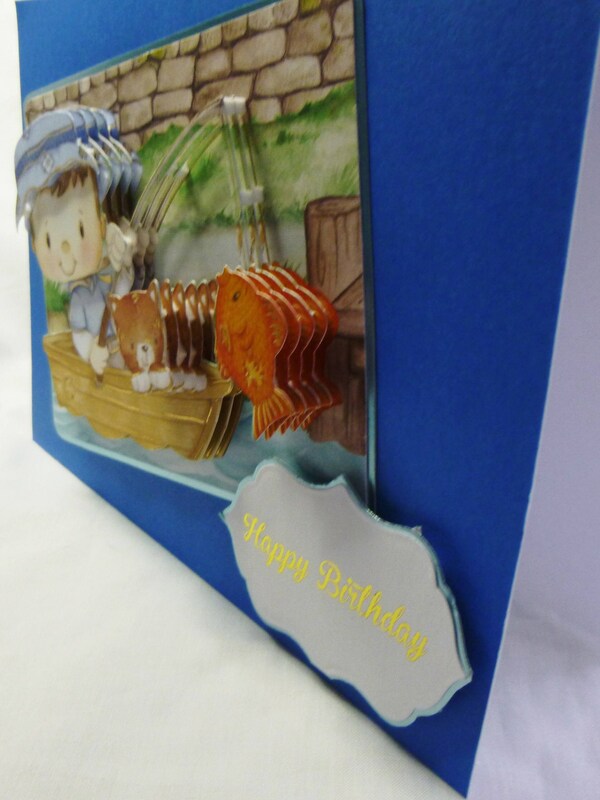 Age number can be added please request at checkout.